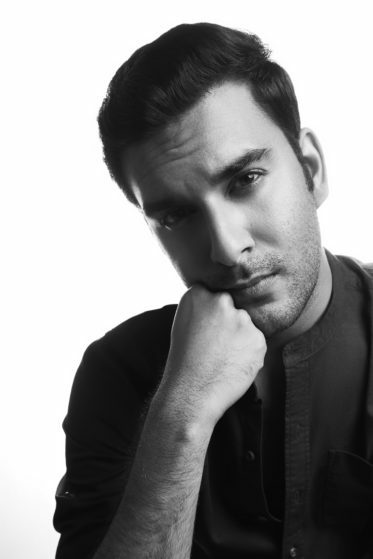 Anish Sood is an acclaimed DJ and music producer who was one of the first few breakthrough artists in the homegrown dance music industry at a time when the concept was at its nascent stage in India. One of the busiest DJs in the country, his touring schedule includes close to 90 performances a year, playing sold out shows across clubs and headliner performances at some of the biggest dance music festivals in the country. An unparalleled stage presence and close to a decade of experience makes him create a benchmark in the highly competitive and expanding dance music circuit. Born and raised in Goa, the pioneering mastermind began his innings with music at 16 years with no formal education. With a mechanical engineering degree, he has travelled a long way since and is arguably the amongst the biggest names in the Indian dance music scene and a regular fixture at the biggest music festivals in India. His original compositions and live sets effortlessly blend between genres such as House, Electro and Techno and his distinct understanding of dance floors, trends and audience consumption justifies his jet setting schedule between stadium tours and intimate night clubs. His versatility and commitment makes him the preferred choice for opening for international acts touring the country and to his credit, he has supported David Guetta, Steve Aoki, KSHMR, Dmitri Vegas & Like Mike, Martin Garrix, Tiesto, Afrojack, Axwell + Ingrosso amongst others. Anish will be releasing his debut album, a pure passion project of experimentation that will solidify his name as one of India’s most versatile and creditable names in the dance music fraternity. Before this album, Anish released singles including “Don’t Stop” ft. LA based singer/songwriter Charlie Sputnik, that made it to #6 on the Music Week Club Charts and was supported by names like Flash Brothers, Anna Lunoe, Lost Frequencies & more. His single ‘Going Under’ was also very popular and hit #4 on the iTunes India Dance charts. In addition to this, Anish is also the curator of the prestigious Amsterdam Dance Event’s Global Sessions conference in Mumbai and a brand ambassador for Levi’s in India. He was also the host of the extremely popular podcast Sunburn On Air and was voted amongst GQ India’s 50 Best Dressed men in India. Anish also remixed Autograf’s single Metaphysical that clocked 700k plays on Spotify and was part of the soundtrack for Ubisoft’s video game Steep.